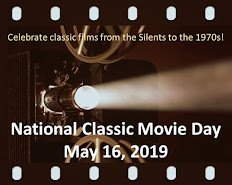 Classic Film and TV Café: This Week's Poll: What is your favorite horse film? This Week's Poll: What is your favorite horse film? The Black Stallion (1979) - A boy and a horse are shipwrecked on an island in Carroll Ballard's visually stunning adaptation of Walter Farley's classic children's novel. Mickey Rooney earned a Best Supporting Actor nomination as a horse trainer, but my favorite part of the film is the friendship between the boy and stallion forged on the island. Misty (1961) - Marguerite Henry's award-winning 1947 children's book Misty of Chincoteague provided the basis for this film about two children who capture a mare on an island off the coast of Virginia. It starred David Ladd, Alan's son and a future Hollywood executive. National Velvet (1944) - An English lass named Velvet Brown (Elizabeth Taylor) saves a horse, names him The Pie, and eventually rides him in the Grand National steeplechase. 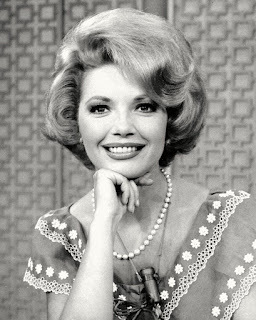 Anne Revere won a Best Supporting Actress Oscar as Velvet's mother and Mickey Rooney played another trainer. This one was also an huge hit, this time for MGM. My Friend Flicka (1943) - Roddy McDowall plays young boy who learns responsibility by a raising a young filly he names Flicka (Swedish for "little girl"). This adaptation of Mary O'Hara's book proved to be a big hit for 20th Century-Fix and spawned two sequels, plus a later TV series. Phar Lap (1983) - This import from Down Under traces the exploits of Phar Lap, a phenomenally successful race horse who captured the public's imagination. Tom Burlinson, from The Man From Snowy River, played the horse's strapper (hey, can a horse lover please post a good definition of "strapper"?). Smoky (1946) - There are several versions of Will James' horse tale, but this one is the most famous. Fred MacMurray plays a cowboy who captures a wild horse and forms a friendship with it. The two are separated, but reunited in the film's poignant climax. Any quibbles with the above nominees? Please leave a comment below. You can cast your vote by clicking on your choice in the green sidebar on the right. This is a great poll, Rick!! I just love horses and always have. Everyone of the movies I have seen and really liked. This will be a difficult choice for me. Considering that sometimes I will watch a movie just to see the horses in it, you can imagine my dilemma trying to decided which ONE! Naturally I have read all the books about these famous horses too. A strapper is a groom who takes care of the horse. I really like this poll!! Rick, I haven't seen "Misty" or "Smoky" but think I would really enjoy them. I shall have to use good horse sense in my vote. This is a wonderful poll! I am a horse owner, so I look for realism in horse movies. Smoky: Although the man's relationship with his horse and the training is pretty faithful to the book, over all the plot does not really resemble the book. Smoky is the American Black Beauty: the life of a horse from good beginnings to some very unfortunate events, to a happy ending and reunion with his original friends. National Velvet has always been a favourite since childhood. When other little girls wanted to be girly things like ballerinas, I wanted to be a steeplechase jockey. The portrayal of the Grand National in National Velvet is nothing like real thing, but overall the portrayal of the horse Pie is nice. If you want to see a good representation of the Grand National, watch "Champions" about Bob Champion and Aldaniti who won the 1981 Grand National after recovering from cancer and career ending injuries respectively. This was probably the tear jerkingest Grand National ever, to this day strong men get teary eyed talking about it. The movie shows realistically how the horses are schooled and the race itself is very exciting. (With enough slow motion shots to show the techniques for getting over those huge jumps.) In fact, the real Grand National takes more time to run than it took in the movie. Aldaniti plays himself in the film and the race scenes were filmed at Aintree with the real jumps recreated for the movie. My Friend Flicka is a very good book about family conflict and horses and the movie is very "hollywoodized" but not bad at all. Read the books, skip the movie. I have not seen Misty since I was a kid, so cannot judge it from a practical point of view. Phar Lap is pretty good, even though sentimentalized, but I stopped watching the last 15 minutes. I know what happens. 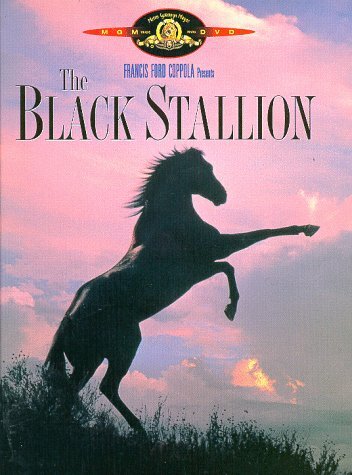 I have neither seen nor read the Black Stallion. I loved Farley's horse stories when I was a kid, except for the Black Stallion series for some reason. I should try again! The 2007 movie "Ruffian" is considered good by people in the horse racing industry, and there is no harsher critic of a horse movie. a great deal of it is about grave illness. 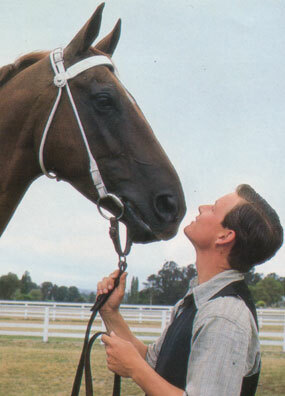 National Velvet is a sentimental favourite, Smoky is a well done portrayal of a man and his horse. Most people know very little about horses and are probably satisifed with a lot of film portrayals. Lots of people love horses, but do not own them or care for them. The fact is that realistic portrayals of horses and good horsemanship is rare in many movies. 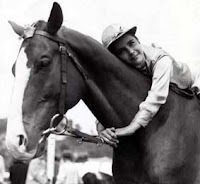 There are many good equestrians in movies, but the requirements of moviedom - making things fast and exciting while staying in camera frame - requires riders to do things on film they would not normally do, like sudden stops from a gallop, pulling too hard on the horses' heads (cranking), riding on a tight rein. Everytime you see a horse with his jaw wide open while the rider hauls him to a stop, that is a horse in discomfort at best, pain at worst. Panavia, I had never heard about the true story of Bob Champion, but the movie sounds like a winner. On our FB page, another reader mentioned a foreign film called WHITE MANE, which also gets excellent reviews by horse lovers. Ah! Foreign films: another personal fave is "Reitet für Deutschland", a german film from 1941. Based on true events, it's about a cavalry officer crippled in WW1, his recovery of both his health and his prized horse whom he finds pulling a cart, then winning an international competition. IN real life Carl-Friedrich Freiherr von Langen won individual and team gold medals for dressage in the 1928 Olympics, which was a huge morale boost to Germany in the miserable 20's. As it's made in 1941, it has it's share of propaganda, but the horse scenes are excellent. Although the real rider won his gold medals in dressage, the film concentrates on the more exciting show jumping. So aside from the propaganda parts, it's your basic horse story!